If I mention the name David Levy to you, it probably won’t mean a lot, David Levy was the son of a Jewish merchant in London who came to a then booming, Liverpool in 1838. On his arrival I the city he Anglicised his name to the one we are all familiar with, David Lewis. He first worked as an apprentice for the Lord Street tailoring firm of Hyam and company and at 32 chose a premises on Ranelagh Street to set up his boys clothing shop. The shop was no more than 24 feet long with a single entrance. Davis Lewis’s philosophy was to sell his clothing at the lowest possible price, with a promise to exchange items that had not been worn or were not damaged and to sell goods for cash with no bartering allowed. This was unusual at the time because people were used to haggling over prices, but in Lewis’s this was not allowed as the items were all priced. 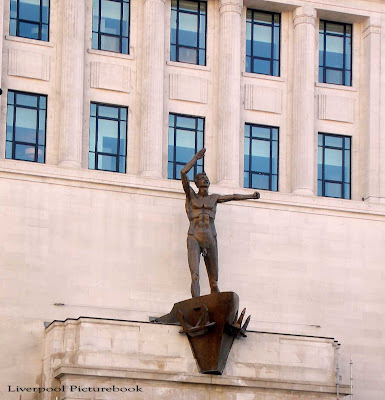 His motto was “Lewis’s are friends of the people”, and indeed it seemed that the people believed this to be so as the people of Liverpool, supported his venture and the Lewis’s brand grew in popularity. 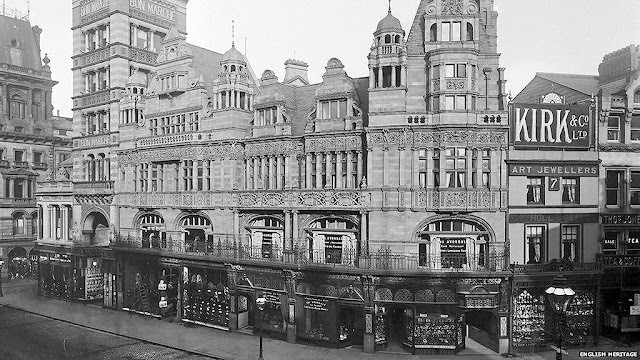 With the popularity of Lewis’s came much larger premises, David Lewis also bought Bon Marche in Church Street which later became George Henry Lee and opened his second, a major retail department store, in Manchester 1880. 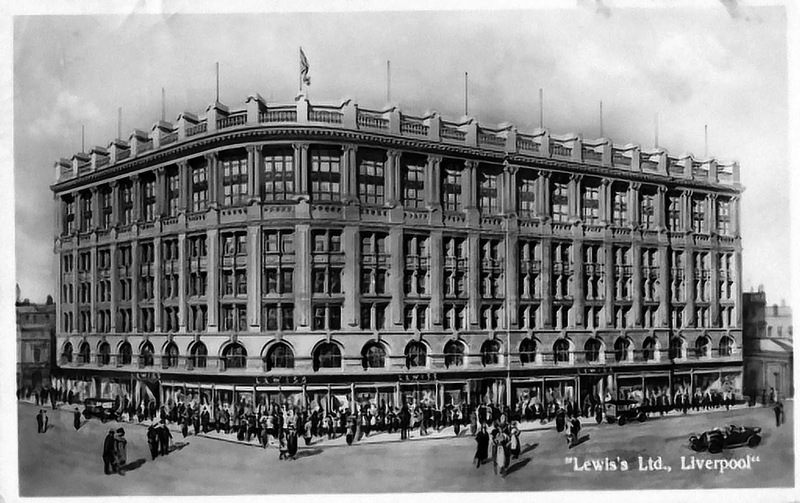 Lewis's was the first department store in the world to install a grotto and use full size mannequins in its shop windows. The David Lewis Theatre in Liverpool was erected as part of the larger David Lewis building in 1906, it was intended primarily as a music hall for men using the hostel and club in the building. It was first licensed as a music hall, from January 1907, but, as it was such large and elaborate structure, it was felt it would be bad economy to limit its use to just a music hall, so arrangements were made with local amateur dramatic societies to stage their productions there. The first theatrical licence was issued in October, 1910. Shows were introduced so that people from the local neighbourhood could attend for much lower prices than they would pay elsewhere. There were concerts on Sunday evenings- "an hour and a half's good music for 2d". Films were shown as well, the first cinema licence was issued in January 1914. Sadly the Theatre ceased being a place of entertainment and its certificates expired on 30 November 1977. 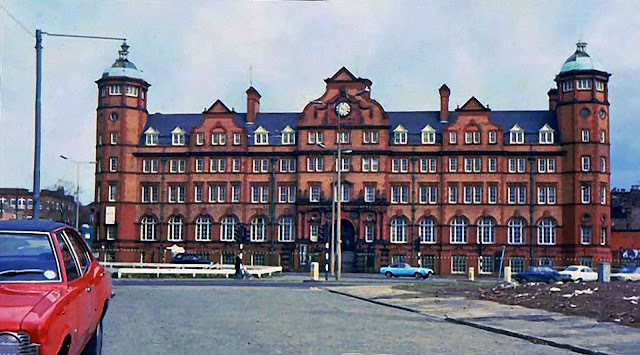 Demolition of the complex was completed in October, 1980 and the site was been redeveloped. 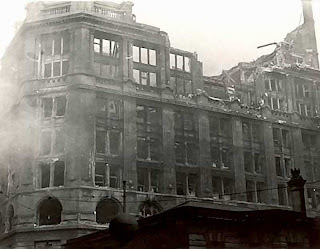 The Lewis’s department store lives on however, despite the best efforts of the Luftwaffe who bombed the store in the Second World War, a direct hit caused damage so great that the store had to be rebuilt. 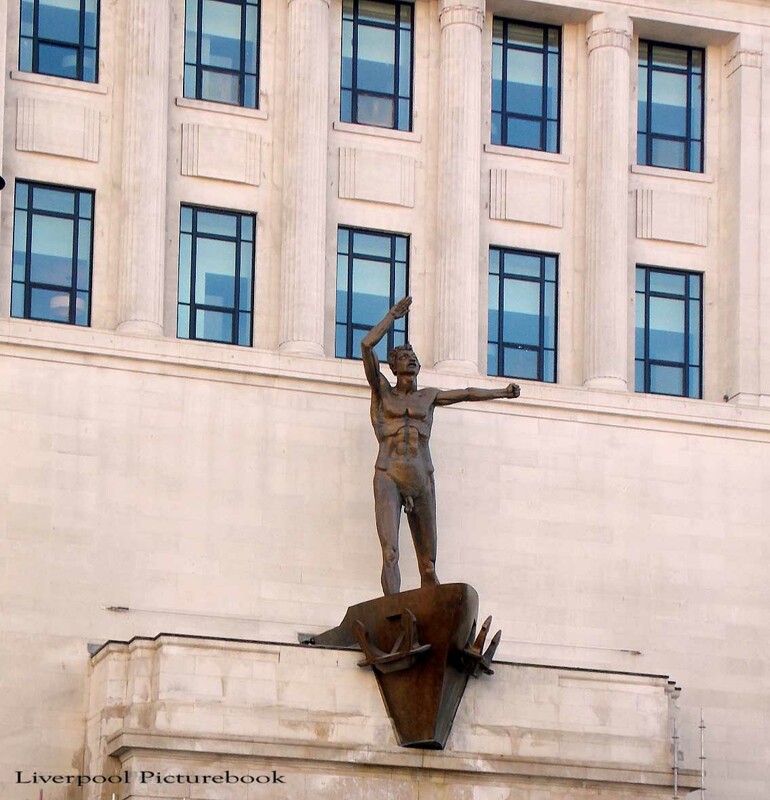 However, rebuilt it was and later had the statue of ‘Liverpool Resurgent’ added to the building as a testament to those who died and the defiance of not just Lewis’s but the city, to overcome the perils of war. Lewis's ample means were freely given in aid of charitable and philanthropic works. 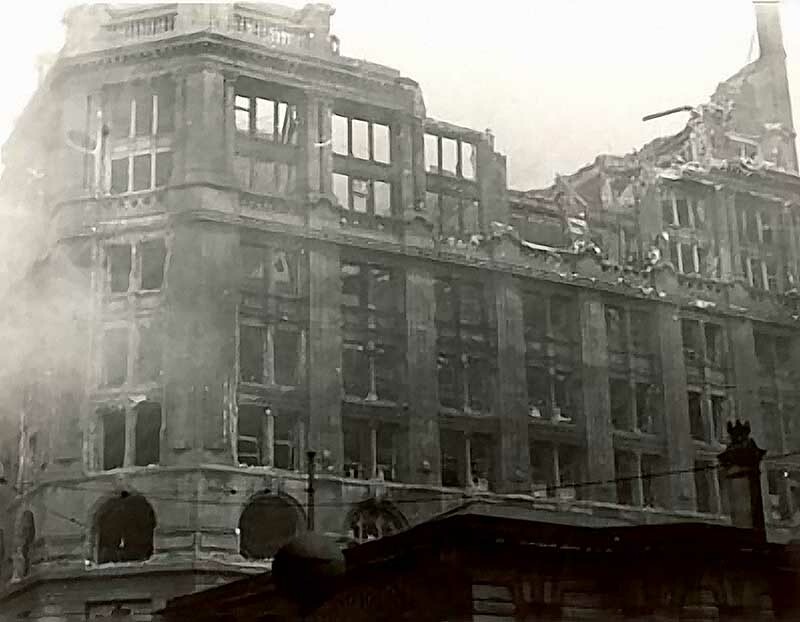 He headed the local subscription list for the persecuted Jews of Russia with a donation of £1,000 ($5,000), and gave large sums in support of the synagogue. For many years he held the position of warden and treasurer of the Old Hebrew Congregation, Liverpool. 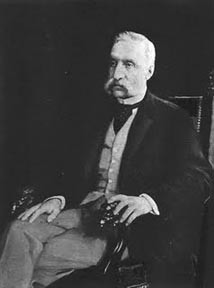 He died in Liverpool, at his death he bequeathed very large sums (nearly a half-million sterling) for the erection of hospitals and other philanthropic institutions, which constitute some of the most important in Liverpool. The David Lewis Centre based in Little Warford, Cheshire, a charity providing residential accommodation for people with epilepsy and other neurological conditions, continues to operate under the David Lewis name, having been established with the funds from his estate. Despite the subsequent closure of the Lewis’s department store it is a fitting tribute to the great man that the newly refurbished fascia of the store still carries the Lewis’s name and the statue of ‘Liverpool Resurgent’ known affectionately by scousers as 'Dickie Lewis', recently cleaned and polished, was once again unveiled in all its glory in February 2013.